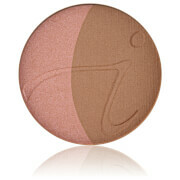 A golden bronzer, this product can be used to subtly create the Golden Goddess look. 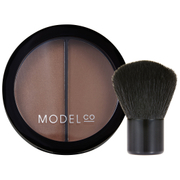 Apply with our Eye Shader Brush, Eye Contour Brush and/or our Deluxe Shader Brush. For cheeks and body, swirl our White Fan Brush or Dome Brush around the four colors. Lightly apply to your cheekbones. 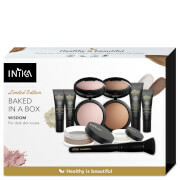 For eyes, use the four colors individually. For a red-carpet look, dust onto shoulders and decollete.